Frequently asked questions are an opportunity not just to help your customers, but to profit as well. 00:15 – What are your customers asking you? Leverage your customers’ questions. [Click To Tweet]. Make the most out of FAQs. [Click To Tweet]. James Schramko up close and personal here in the Grand Palace grounds at Bangkok in Thailand. What Are Your Customers Asking? Now I’ve got a little tip for you. 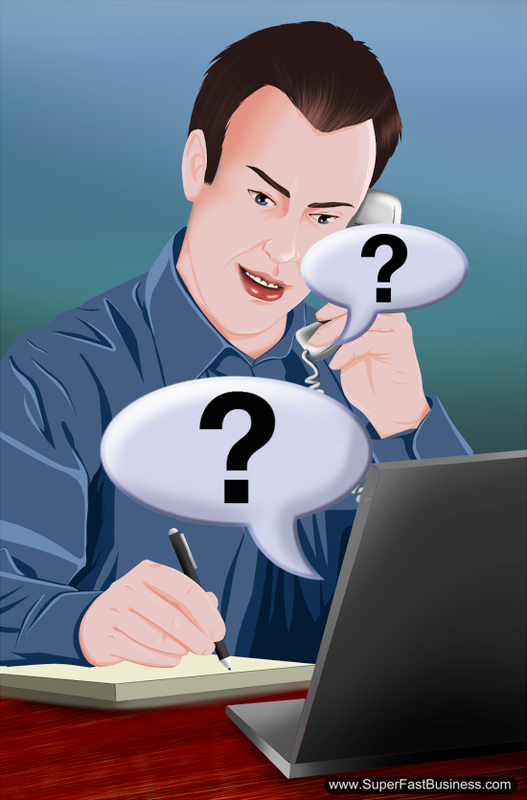 When you are on a telephone call with a customer, or when they fill out a live chat or when they send you an email, make a note of what they’re asking you. That is the language they speak when they’re dealing with you. And it provides you amazing fodder to get your sales copy tuned up, but also to provide FAQ answers to your knowledge based or videos or audios or to put in to your next podcast. So the core message is, leverage your customer’s questions by taking notes, noting down what they ask and then answering it for everybody. Make a forum post. Make a blog post about it. Educate your market. And chances are, when you move your entire audience across that FAQ, it’s not only going to help your customer, but it will help your future customers and it’s also going to look good for Google’s Hummingbird algorithm which rewards frequently asked questions-style content because a lot of people are going to Google typing out “how to…,” “how do I…” etc. So, there you go. That’s my tip from Bangkok. I’m James Schramko. Absolutely – when the people you’re trying to connect with tell you exactly what they want to know then you darn sure better be listening and leveraging! That’s a great tip. There is a tendency, particularly amongst consultants, to correct someone’s misuse of terminology and feel quietly smug about it. But what they should be doing is realising that if their target market search for answers using wrong or unusual phraseology, that’s how they should create their content and paid search ads. And obviously “customer speak” is absolute gold for copywriters. so true. Using the same words reduces friction. The classic are sales training buyers who look for closing techniques. grt tip .. makes your business more efficient too by cutting out repeat phone calls about the same FAQ, I try to make a mental note too of the most FAQ asked .. so that they are in popularity order on the FAQ page so the answer jumps out at them rather than having to scroll too far…. or even a ‘Popular FAQ’ cross link widget .. love these short non time consuming vids James.